In its 8th year, the forum will welcome 250+ Institutional investors, fund managers and industry participants to debate and discuss the most important challenges and opportunities facing our industry this year. 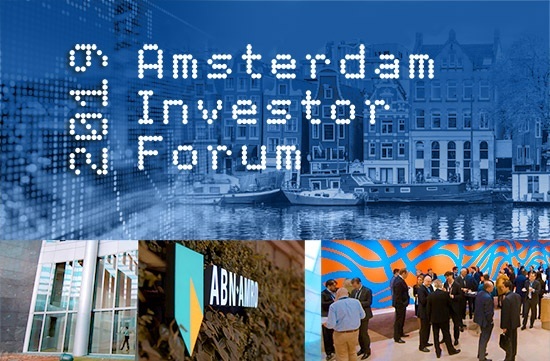 True Partner will be present at the Amsterdam Investor Forum 2019 on 19 & 20 March at the ABN AMRO head office in Amsterdam. 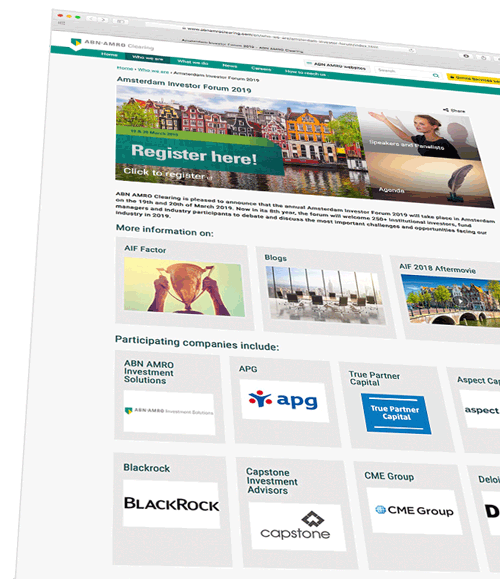 The Forum, organized by ABN AMRO Clearing, has gained wide recognition as the leading alternative investment event in the Netherlands. In its 8th edition, the AIF will again deliver a global line-up of prominent speakers and panelists that are active in the alternatives industry including Fund Management, Asset Management, Investment and Asset allocation. They will provide insights on the most important challenges and opportunities for 2019 and beyond. Mr. Tobias Hekster, Co-CIO of True Partner Capital USA in Chicago is very honoured to be joining the panel this year. Systematic Internalisers: challenges and opportunities? Are trade wars spiraling into a currency war? The Forum is a unique opportunity for institutional investors, fund managers and asset allocators to meet and debate on market developments, trends, regulatory landscape and investment strategies. A perfect occasion to join the discussion with us and build a meaningful relationship. Or start the conversation in advance by sending an email to schedule an appointment. ABN AMRO Clearing is an independent global business partner providing an integrated service package for professional businesses. The firm clear and finance over 16 million trades per day and cover 90 of the world’s leading exchanges across Europe, the Americas and Asia Pacific.The international network provides comprehensive market access to exchange-listed instruments such as stocks, futures and options. It also covers non-exchange listed investment instruments and alternative products including bonds, OTC derivatives, warrants, forex, forwards and energy and commodities derivatives. ABN AMRO Clearing consistently ranks among the top three clearers in every time zone, based on market share of transactions cleared. Is your Uber driver starting to give you tips on selling vol?